SUPER SPOT. 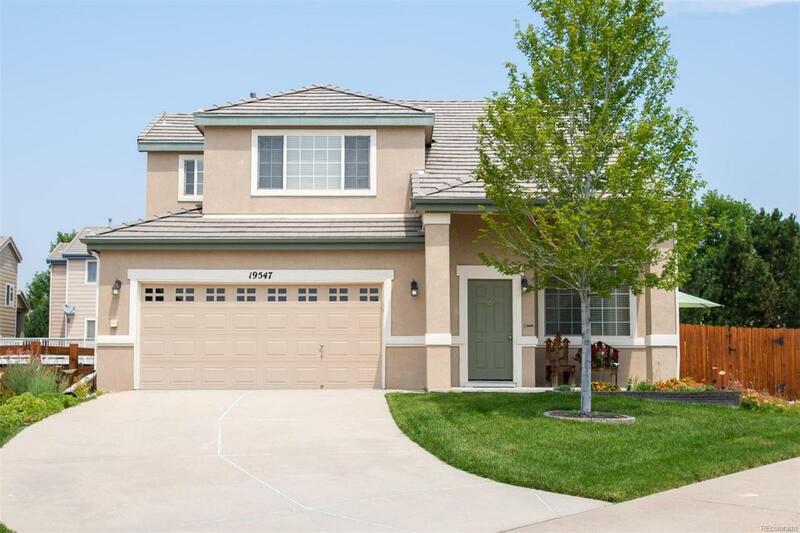 Beautifully situated on a south west lot in Stroh Ranch, the heart of Parker, this spot offers quick and easy access to the best schools, shopping, and freeways without sacrificing any measure of tranquility. Inside, the layout is well-suited for entertaining featuring high ceilings, loads of windows streaming in natural light, and updates like stainless steel appliances, granite countertops and sink. The updated kitchen flows seamlessly into the cozy family room that features a gas fireplace and built-in entertainment center. Just off the kitchen the deck leads to the private yard that is highlighted by plenty of grass for pets and kiddos, as well as a comfortable patio space for an afternoon BBQ. The upper level boasts two bedrooms and two full bathrooms, plus a spacious loft area.